I have always been in love with fall. The leaves changing color and the weather getting cooler. Along with tons of apples, squash, and pumpkin! Unfortunately I live in a city where there really isn't seasons. The leaves might change colors, and the weather might require a sweater in the evening, but today when I looked at my car thermometer it read 97 degrees. I know I'm crazy not to enjoy a summer vacation all year long, but I've lived in both extremes. And instead of cider we drink milkshakes. Ever since the amazing Angela from Oh She Glows made it, I couldn't stop thinking about it! 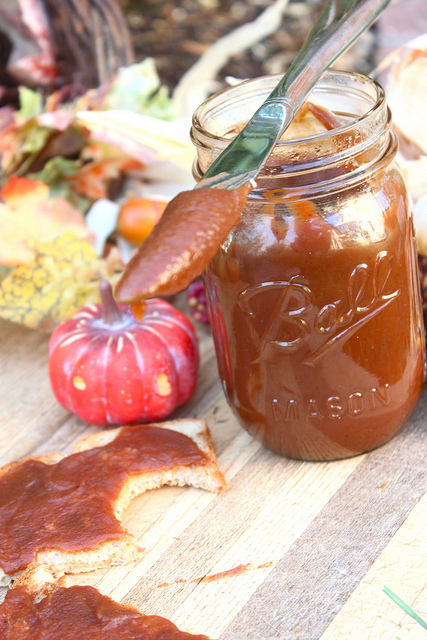 I fell in LOVE with Pumpkin Butter last year, and knew that apple butter would be just...dare I say..if not MORE amazing..!! Let me just say this...it was! *This is one of my favorite seasonal dishes to date! 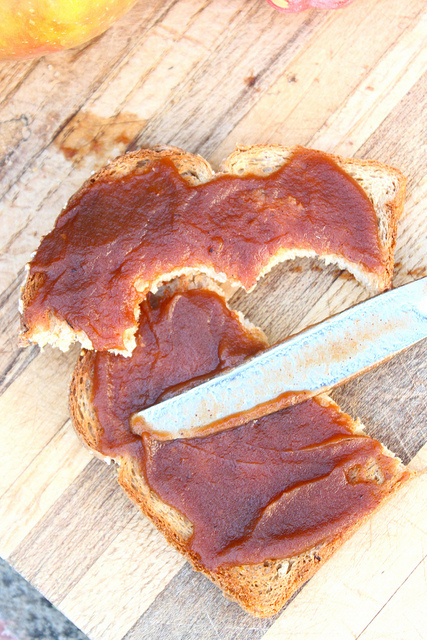 So sweet and delicious, and no one would guess that it isn't sugar heavy like other apple butter recipes! 1. 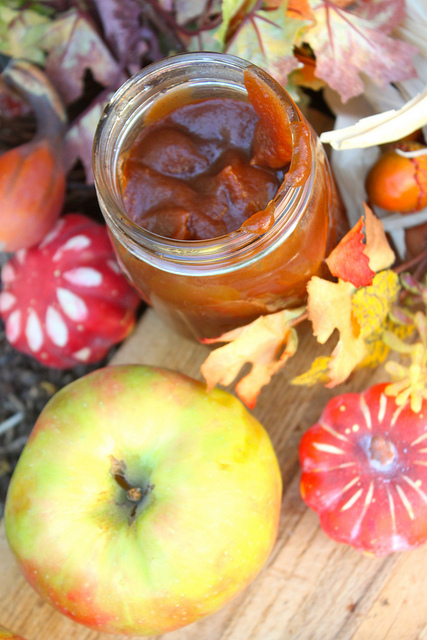 Wash, peel, and dice your apples and place in the crock pot. Add all other ingredients and mix until combined. 5. 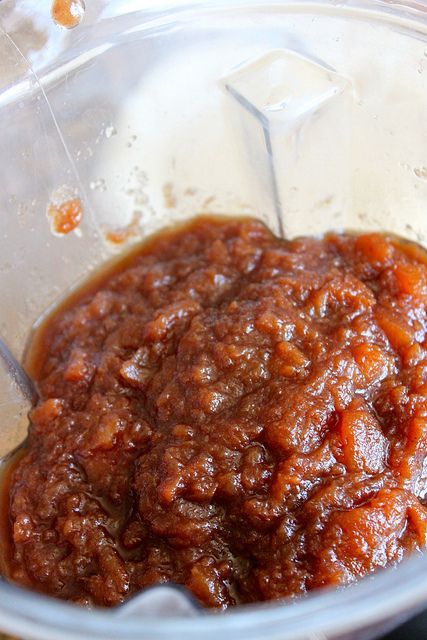 From here, you can still cook the apple butter longer until its condensed completely, but we had to leave the house for a while, and I didn't want the crock pot on the whole time we were gone. So at this point, I pureed it in my blender to give it the smooth butter consistency. 6. It took me about 3 minutes to blend until smooth and creamy, but other blenders might take longer/faster. This also depends on your consistency preference. 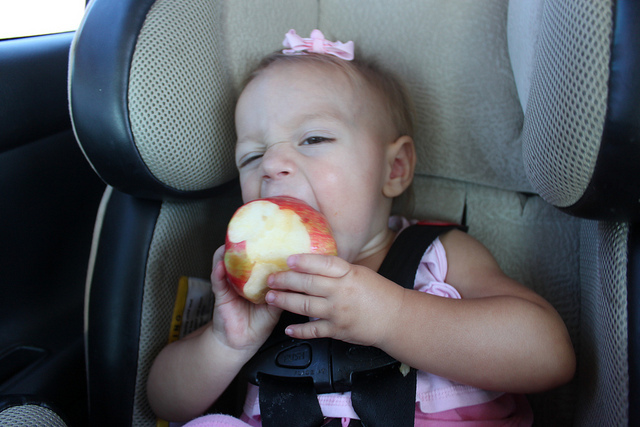 Baby Boo's favorite way to eat it is with her hands..